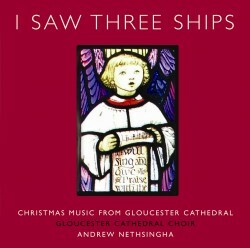 The Gloucester Cathedral Choir follow their imaginative and acclaimed first release on AVIE, In The Beginning (AV 2072) with a spirited holiday album of traditional and contemporary carols, including famous arrangements by Sir David Willcocks and Sir Philip Ledger, as well as the newly commissioned title track from Richard Rodney Bennett. As the successor to the boys and monks of the Benedictine Abbey, The Gloucester Cathedral Choir boasts a tradition tracing back over 900 years. Henry VIII established their current incarnation, along with the Church of England, in 1539. 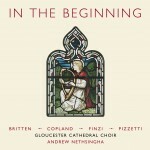 Andrew Nethsingha, the choir’s Music Director at the time of this recording, was a chorister at Exeter Cathedral, where his father, the distinguished Sri Lankan-born English church musician Lucian Nethsingha, was director of music for 26 years. He studied at the Royal College of Music where he was awarded seven prizes and was the youngest cathedral organist in Britain when appointed to Truro Cathedral in 1994. In addition to singing in six services every week, the Gloucester Cathedral Choir is heard annually at the Three Choirs Festival, and regularly at the Cheltenham International Festival and on BBC radio and television broadcasts.